Of course, this only serves to raise a further set of questions. After all, many of the familiar futures presented by science fiction are rather grim. 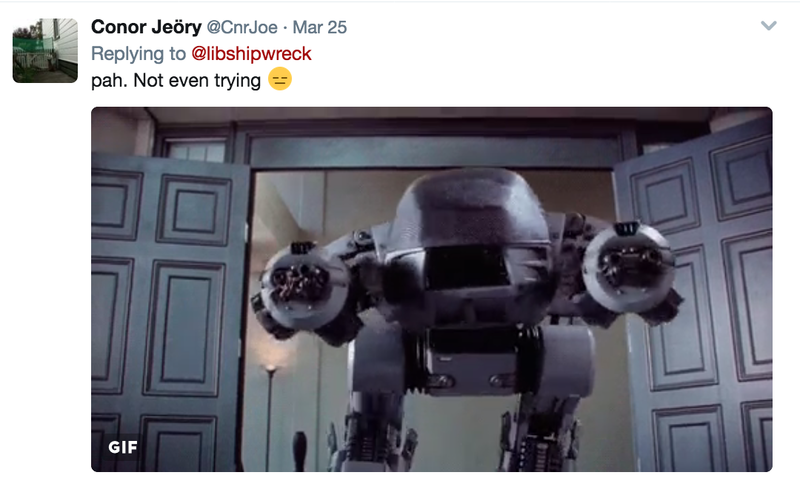 Case in point, discussions about robots are haunted by an imaginary stocked with tales of murderous metallic marauders hell-bent on eradicating humanity. Granted, sci-fi is not exclusively a genre of woe (or “woah!”), it can also provide hopeful narratives and utopian schemes. It familiarizes us with potential futures – which may be good or bad. Even a passing familiarity with sci-fi may lead to an individual having occasional bouts of déjà vu, one feels like one has already experienced the current situation because one experienced it (by extension) in science fiction. Similarly, reading the news may provoke the same feeling – albeit one of “having read this before” a sensation which the philosopher Günther Anders termed déjà lu. But what of the peculiar variety of vu and lu wherein the sensation is not just odd but worrisome? That disquieting sensation where something reminds you of the apocalyptic, of the warning unheeded, of the decidedly dystopian? That is called déjà doom. 2) To encounter something in the real world and be reminded by it of a wretched fictional world is not a good thing. This point may seem an obvious one, banal even, but it is important to recognize. Particularly because this sensation can be easily subsumed in a humorous, if cynical, reaction that simply laughs at how similar something is to some movie with dated special effects. Dystopian fiction, a subgenre of sci-fi that seems quite dogged in its continual popularity, and provides an encyclopedia of unpleasantries. Yet, one of the subgenre’s problems is that such works rarely provide a comprehensive account of how the world gets from its present state to the one depicted in the particular work. Certainly, there may be a brief prologue, a few lines of text that appear on the screen, or some moments of exposition skillfully sprinkled throughout – but, for the most part, there is usually a lack of a clear explanation of how this fictional world came to be. The large incidents may be mentioned – a catastrophic war, an ecological catastrophe, the rise of an authoritarian political movement, an alien invasion – but what is usually missing are the small details depicting the everyday erosion of the facets of society that are meant to maintain some form of stability. Or, to put it slightly differently, that which is missing from a lot of dystopian fiction is a clear set of warnings to the contemporary readers regarding signs to watch out for in their own world. To point to a popular example, the books/films in The Hunger Games don’t explicitly say “these five factors will lead to a future in which children battle each other in a televised death match.” And while a work like Black Mirror may focus on the dystopia generated by everyday technology, in the episodes of the show where things go full-on-dystopian (such as the episode “Fifteen Million Merits”) there isn’t much explanation as to what happened. In short, the audience is given a grim future to fear, but not many details of the warning signs for which to look. Which brings us back to déjà doom. For it is this sensation itself, as opposed to some trusty checklist, that should be viewed as the warning. The sign that a society is crumbling towards a given dystopia is that dystopian features start appearing in present society. At first these elements are shocking, unnerving, and discomforting – they evoke déjà doom – but over time they simply become normalized and fade seamlessly into the background. And it is at the point when these elements become blithely accepted that the dystopian course becomes locked in. Which is why it is essential to pay attention to the feeling of déjà doom, it is the early warning light blinking at you to pay attention before the problem becomes a catastrophe. This is not to say that all other potentialities are eradicated, but once the dystopian features begin accumulating, they may have the ability to tip things in a distinctly dark direction. Once these technologies are built – it becomes very difficult to disassemble them. That déjà doom reminds one of features from multiple works is not a counter to the experience. After all, the dystopian outlines that déjà doom detects won’t completely fit with any single work of dystopian fiction – those cultural creators may have been prescient but it’s doubtful that any of them got things totally correct – rather the dystopian morass will be cobbled together from features that are reminiscent of a variety of doomed futures. Thus, déjà doom is not the odd feeling that we have experienced this before – but the sensation that we are seeing something about which we were warned. That it provokes this odd feeling is a result of the register in which the original warning was couched. That mode of seeing is déjà doom. The original desire to share this clip was inspired by the sense of déjà doom which it inspired in the person who paired the words “coming soon to a collapsing democracy near you…” with the clip before hitting the “tweet” button. What was unexpected was that the clip would circulate so widely. 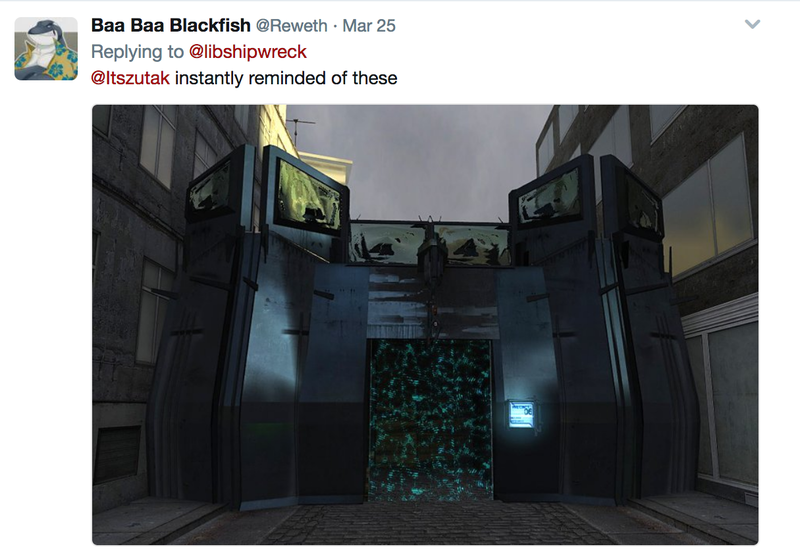 While it is challenging, and unwise, to draw too many conclusions from why people choose to hit “retweet” or “like” or quote the tweet with their own comments – many of the reactions suggest that this clip inspired a sense of déjà doom amongst many other people. Beyond these there were also many other replies (and quoted tweets) that pointed towards dystopian breakdown even if they did not frame it in terms of a particular work of fiction. With many individuals expressing a clear sighted recognition that such a machine would be used to disproportionately target communities of color (in keeping with the current trajectory of highly militarized police forces). Yet, an important factor – perhaps the most important factor – that seemed to be shared amongst the vast majority of responses was a sort of basic acceptance. True, many people seemed to be expressing a degree of fright, distress, or outrage – but they also displayed a certain inured acceptance. Indeed, this acceptance is perhaps most evident in the range of responses that consisted of various individuals thinking of ways in which to battle the Bozena Riot as if it was the boss from a video game. Such replies seemed to evince a certain expectation that it wouldn’t be long before the Bozena Riot makes an appearance in many cities. After all, it’s not as if the Bozena Riot is altogether that different from the sorts of militarized crowd control equipment that are already being deployed. And that, right there, is the essence of déjà doom. 4) For some people, there is a temptation to channel the experience of déjà doom through the lens of schadenfreude. Or, to put it slightly differently, for some people the sight of a piece of police equipment reminiscent of something out of a dystopia provokes a desire to see that tool used against those one perceives as opponents. On the most basic level such a response speaks to an empathetic and ethical failure – but in the midst of great ideological divisions it is (sadly) inevitable that such views will be at least somewhat present. While such an opinion may evince a certain toxic lust to see others suffer, the danger of such a view lurks at another level: it represents a dangerous level of naïveté about technology. A person may delight at the idea of a piece of technology being used against their opponents but they will discover – too late – that this same piece of technology can also be used against them as well. 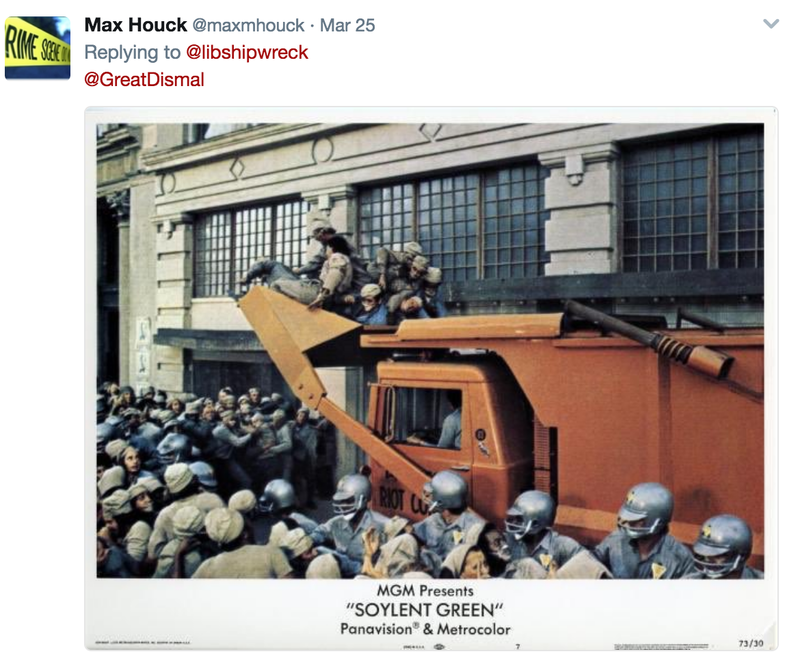 Though many responses to the above discussed tweet fantasized about it being deployed against members of the hashtag resistance – there is nothing about the Bozena Riot to keep it from being used against people who prefer the hashtag MAGA. And frankly such a machine could easily be deployed against people with no particular ideological agenda – it could be used to block the flight of refugees, prevent access to religious sites, or might be used to herd animals (or herd people like animals). There are a lot of bones that serve as the foundation for any dystopia – and to think that those bones only belong to one’s opponents is to have not thought through dystopias very seriously. The establishment of a dystopian state of affairs requires the acquiescence and support of at least part of a population – and one unfortunate sign that such views exist is the eagerness with which some people react to their own sensation of déjà doom. Yet, to drive the point home once more, the only way to be genuinely safe from a piece of dystopia evoking technology is to work to make sure that it is not introduced or accepted. This is in no way shape or form to suggest that technology is “neutral” – indeed the ideologies of dominance built into such repressive machines is a clear signal of the politics embedded in technology. The only way in which the Bozena Riot is neutral is that it makes no difference to the machine if it is crushing leftists or conservatives, teenagers or the elderly, you or your opponents – but do not let that distract you from the fact that this is a machine built to crush someone. That some people react to déjà doom with excitement is, itself, part of the problem. At its best déjà doom is the sensation that makes us look up, it causes a moment of dissonance in which we can realize how absurd and appalling it is that the scary features of dystopias are things we are now expecting to see on our own streets. Déjà doom is a warning that there is still time. But it is a warning that there is less time than you think. Anders, Günther. Franz Kafka. New York: Hilary House Publishers LTD, 1960. Pg. 98. Benjamin, Walter. “Central Park” in Walter Benjamin: Selected Writings – volume 4, 1938-1940. Cambridge: The Belknap Press of Harvard University Press, 2003. Pg. 184. Fromm, Erich. The Revolution of Hope. New York: Harper and Row, Publishers, 1968. Pg. 27. This entry was posted on March 31, 2017 by TheLuddbrarian in Activism, Civil Liberties, Ethics, Government, Impending Doom, Society, Surveillance, Technology and tagged Bozena Riot, déjà doom, Dystopia.